time not being the type of thing my mam ever asked. Ellen was coming for her to take her home. would she call her Ellen and not Grandmother. Yes this has been said, A lot of people have experiences of this. These are apparitions of people who have generally been dead longer than 12-48 hours. There are two subsets: 1) those that make one or several visits to someone (they may not have known this person while alive) and 2) the very rare cases of apparitions that linger for months or years around a particular location or person that they associated with when alive. They are assioated with a persons mind, when emotions are running high and anxiety. Psyhological! 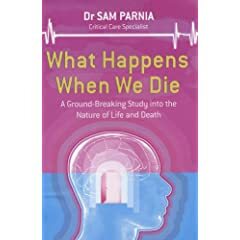 To Pam First - Depends on how ill a person is before dying or whatever the circumstance is not everyone has these experiences only so many people, The mind can play the most wonderful tricks on us and if anyone is feeling rather vunerable then this is when these experience's happen. Ask your self isnt it weird that people who are near death or very ill have these experiences. The most common thing is when people are maybe having an operation wether its lift threating or not certain people experience this too. There has been so many Experiements conducted by the medical profession and Psychologists. Again the majority who has this experience and SP are believers. Phantom Lady - No worries, as u can see some of us believe in the paranormal and unexplained, Personally i dont. I try and take a logical look at things but dont think i could be like that if i had not studied Psychology. None of us are right, it is our own personal Views but maybe one day the Truth Will be learnt. Im sure Pam and everyone else will agree, Its good to have these chats/debates as we find them Interesting. Thanks For posting. Have a look at this book. I'm reading it at the moment and it's very interesting. andrea once again i have another artical in a magazine for you to read about this subject. its not just believers that it happens to it can happen to everyone. not all medical professionals poo poo it and say it doesn't happen. i'm not saying that it does happen and i'm not saying it doesn't happen. i can't say as it has never happened to me but the artical does make an interesting read as it does show both arguments. Yes and ive said people who are losing people to illness their emotions become very high and open, So i could infact experience this is i was losing someone or feeling like this but i wouldnt be a gullible and think it was paranormal. I can type and type and type loads of stuff but you and others will always question it which is only right and vica versa. But end of the day its our own views but some go over board with thinking things are paranormal! books are a million miles away from the truth, or realitiy, nobody should have to read about the natural prosess of life and death, thats what everybody was born fordying?what happens when you do die well? do we really care on the day of our reckoning, theres nothing we are docs and nurses can do accept help, some people want to go, so people are scared,depends if your in pain or not, we can sometimes prolong it, but it will come eventually. we are born to die. these shells can't outlast our souls. the bodies are only a vessel to carry whats inside. sientists only delve when there is an intersting therory? as a STATE REGISTERED NURSE, i do deal with death every single day, in children and the aged, andits always exactley the same thing that they experiance, panic then peace, as the body and mind ajusts, so why always peace at the end, why not hysteria?its because of what they beleive in,thats what brings them peace. when you look around at different religions etc they nearly and i say nearly all mention something the same......along the same lines as christians would call heaven.... is that the spiritual world we are all working towards, or is it another world completly? In metaphysical models, theists generally believe some sort of afterlife awaits people when they die. Atheists generally believe that there is not a life after death. However, other atheists like Buddhists, tend to believe in an afterlife like reincarnation but without reference to God. Agnostics generally hold the position that like the existence of God, the existence of supernatural phenomena, such as souls or life after death, is unverifiable and therefore unknowable. Some philosophies (i.e. posthumanism, Humanism, and often empiricism) generally hold that there is not an afterlife. Modern science, in general, either describes the universe and human beings without reference to a soul or to an afterlife; or tends to remain mute on the issue. Scientific method offers few tools for investigating the concepts. One famous study, was conducted in 1901 by physician Duncan MacDougall, who sought to measure the weight purportedly lost by a human body when the soul departed the body upon death. MacDougall weighed dying patients in an attempt to prove that the soul was material, tangible and thus measurable. These experiments are widely considered to have had little if any scientific merit, and although MacDougall's results varied considerably from "21 grams," for some people this figure has become synonymous with the measure of a soul's mass. The 2003 movie 21 Grams was based on MacDougall's findings. arrg my eyes my eyes ..